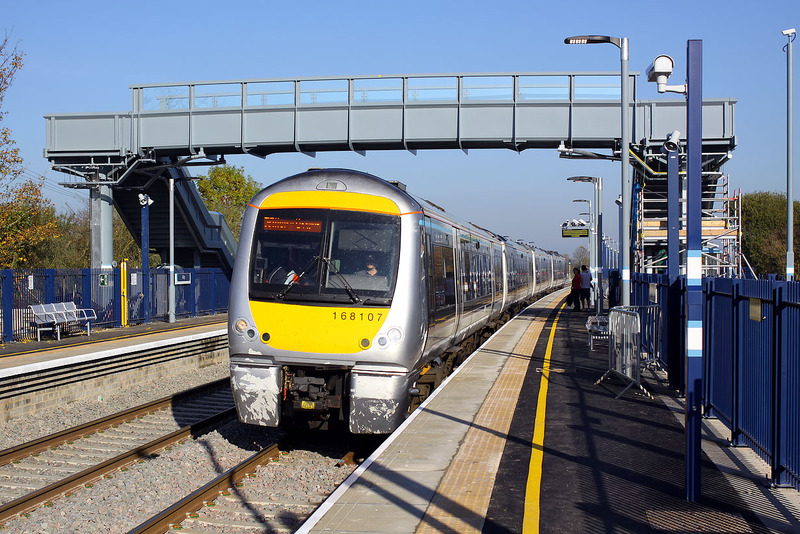 168107 races through Islip station at high speed on 1 November 2015 with the 1T29 12:05 Marylebone to Oxford Parkway Chiltern Railways service. The people standing on the platform are not intending passengers, but have taken the opportunity to watch the trains go by on a sunny Sunday afternoon. Having been running for just a week, the reintroduced service on the recently upgraded line is still attracting considerable local interest.